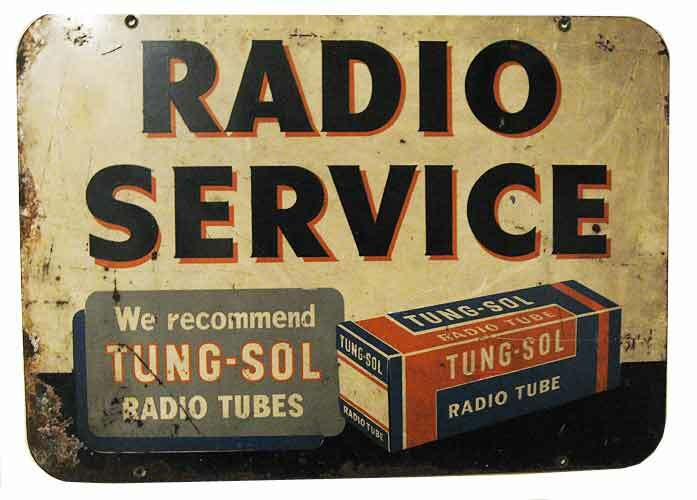 The double-sided porcelain sign is most likely from the 1940s and advertises radio service and endorses Tung-Sol tubes. It resided in Connecticut for quite some time before I purchased it off ebay. The sign measures 19.5 by 27.5 inches.